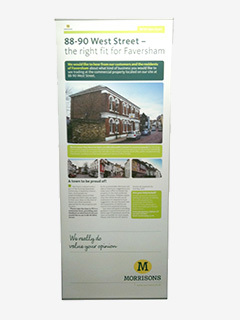 Pull up, roll up banner stands come in a variety of types and widths all approximately 2.1m high. 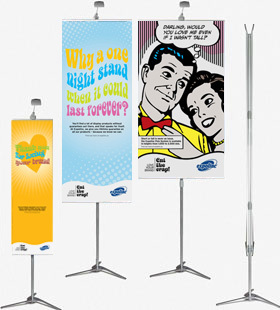 They can either be self-contained with the graphic panel rolling into the base or with an easily interchangeable graphic panel so one frame can be used for different messages at different times. They can even be single or double sided. How to choose the right banner stand for me? 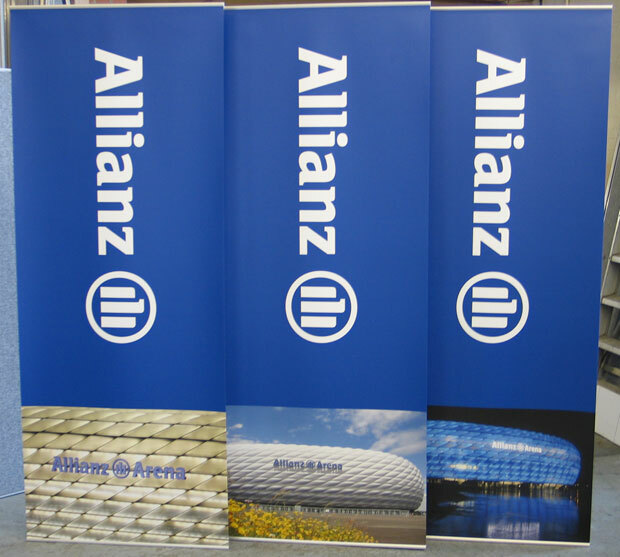 Choosing the right banner stand comes down to budget and your own particular needs. How often do you need to use your stand? 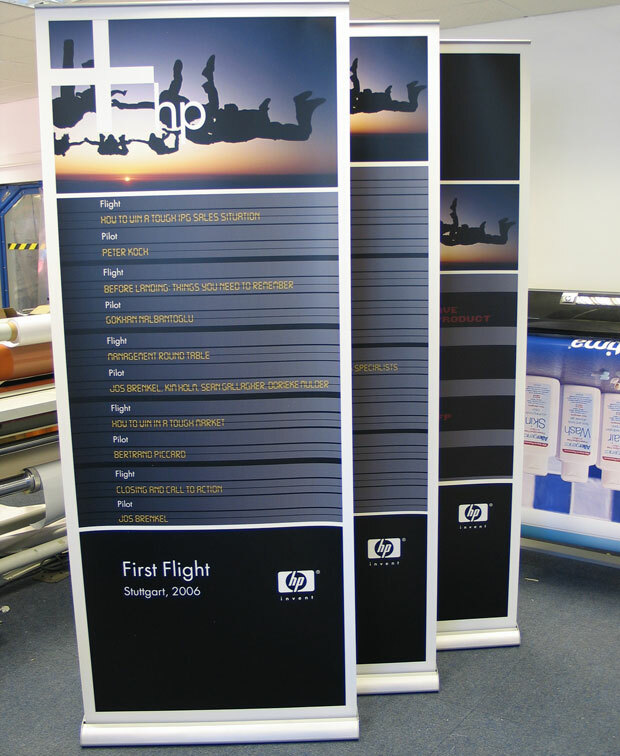 How long are you likely to need your banner stand for? 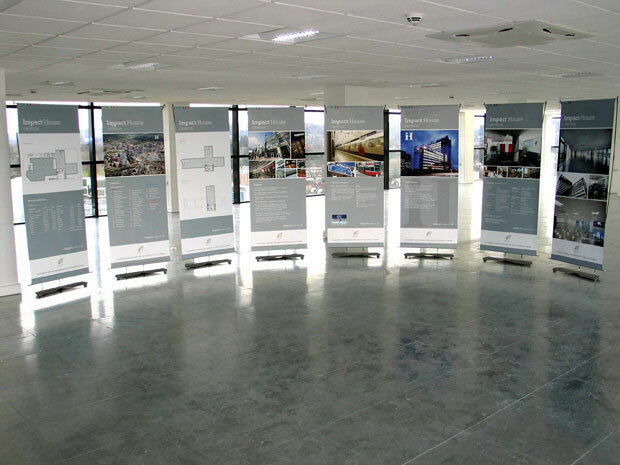 For more information on any of Exhibition Display Solutions' products or services, or for a free quote please call us on 01491 613742 or email us. 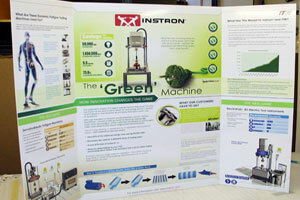 With only four components (including the graphic panel) this is a simple and robust solution. The graphic panel goes right to the floor so that the hardware is completely hidden. The graphic is easily changed without having to be returned to us. Many of our clients have multiple graphics for one set of hardware so that the information can be tailored to the specific event. 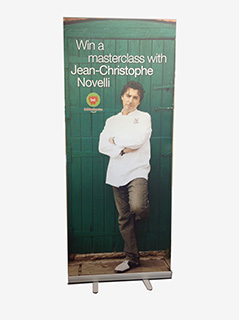 Very easy to put up, lightweight with an attractive satin-anodised finish. 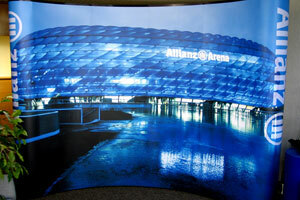 The graphic panel is printed on a light-blocking material with a scratch-resistant overlaminate. The whole unit needs to be returned to us in order for the graphic to be changed. 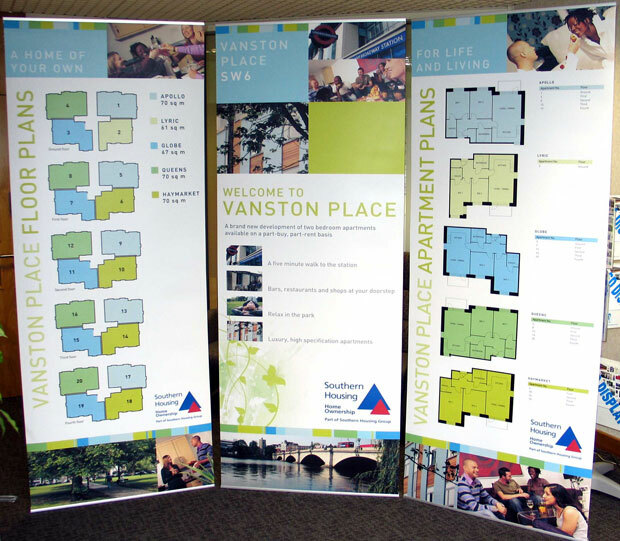 The Budget Pull-up utilises a robust pvc graphic without an overlaminate and has been designed to drive down costs and maximise value. Ideal for one-off use, or use abroad where the cost of transport outweighs the cost of replacement. 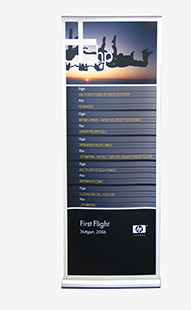 The Voyager Pole System is the perfect system when you want to display your message up high. Ideal when you want to be seen in the middle of a room or in places where you want to see what is going on behind the graphics. The panel measurements are flexible both in height and width and you can make the system double sided without any modifications. The Pole System comes with a lightweight and convenient low voltage spotlight in an attractive design. Panel profiles for double sided systems are available. The basic package contains a stand with integrated stabilising feet and an image holder. Supplied in a cardboard box. The travel package contains a stand with integrated stabilising feet and an image holder. Supplied in a practical fabric bag. 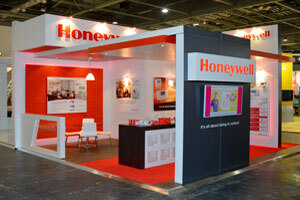 4 Screen is a cost effective way of raising your message in large scale. Similar to the Voyager Lite but with more refinement. 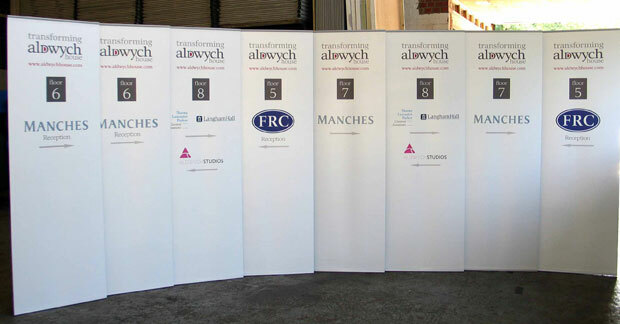 It is perfect for events and large campaigns where you want the quality to show in a all aspects of your event. Weighing in at 3Kg, complete in its bag, it is easy to carry and quick to set up. Accessories include: a connection kit that allows for connecting several systems, and a designed and lightweight spotlight in grey colour transported in a nylon bag with protective tube. 4 Screen Classic is a complete banner system. The package includes a cassette, supporting rod, top and bottom profiles and bag. The finish of the system is silver. 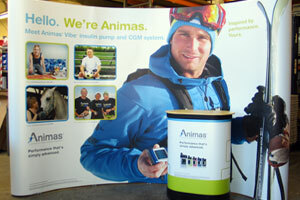 The Voyager Explorer is ideal for all kinds of corporate, sporting and outdoor events, promotions and point of sale. 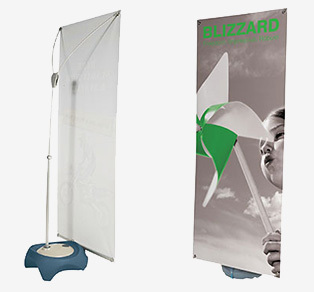 Its simple design makes it very easy to assemble on-site, and because it’s adjustable, it can accommodate different graphic sizes to suit your application.